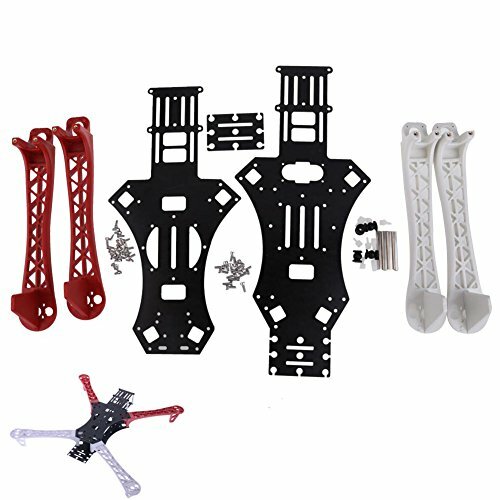 Brand New HJ MWC X-Mode Alien Multicopter Quadcopter Frame Kit. With mounting holes for Wireless Transmitter, CCD, OSD, GPS antenna, special design for installing NAZA flight control (long hole left for magic tape to fix the controller), holes for tall landing skill. 2200 mAh battery can be fixed at the end of the lower plate. ith mounting holes for Wireless Transmitter, CCD, OSD, GPS antenna, special design for installing NAZA flight control (long hole left for magic tape to fix the controller), holes for tall landing skill.